How Many Cupcakes Should You Eat If You Run the Marathon? For today’s Boston Marathon, we calculated the average amount of calories burned during the 26.2-mile race for a 25-year-old female who is 5 feet 6 inches tall and 130 pounds and a 25-year-old male who is 6 feet 1 inch tall and 170 pounds. We used the standard qualifier time for males and females in the 18 to 35 demographic and averaged these totals together (about 3,052 calories). Then, we looked at five individual foods and calculated the amount of each a runner would need to intake to meet the above calorie count. 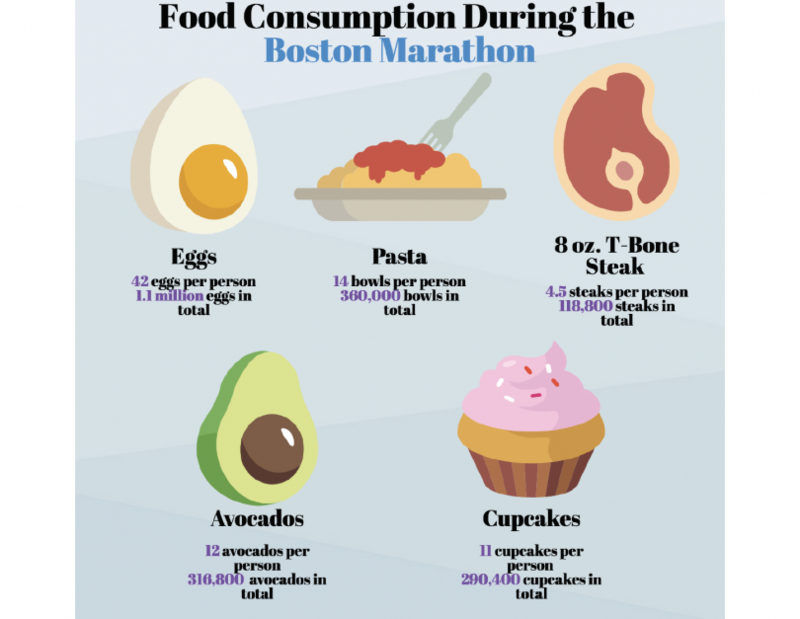 We also calculated the total amount of food that would need to be consumed for everyone who finished the Boston Marathon, based on the results from 2017 (26,400 runners). All information was obtained using myfitnesspal and the Boston Athletic Association’s official data from the 2017 Boston Marathon. 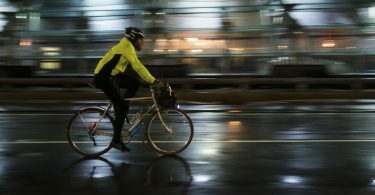 Where are the 2019 Boston Marathon runners from?